Joan here. 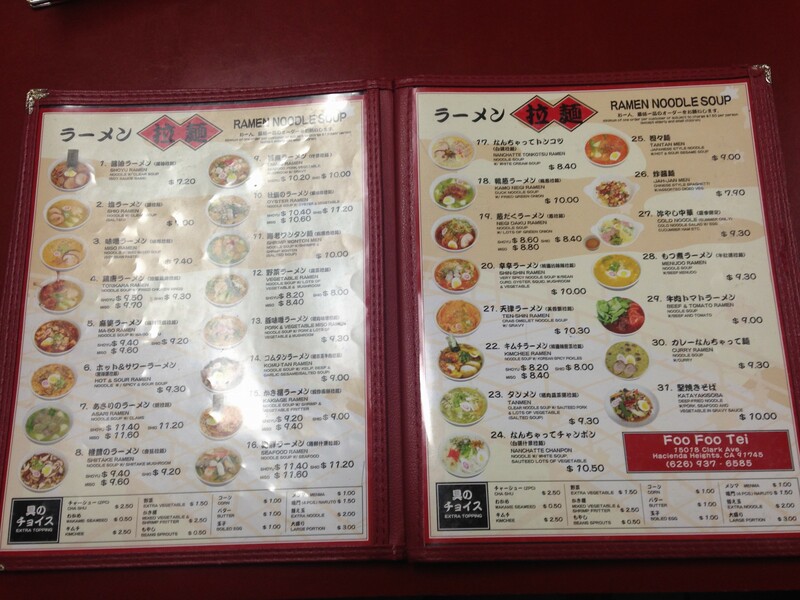 I’m doing something that I haven’t done in a long time… write a blog post shortly after a ramen run! AGH! Saturday night, I had a ramen dinner with my brother, Mark, who’s visiting LA for the weekend. It’s been a while since I’ve been to Ramen Hayatemaru in West LA and I was craving their awesome tsukemen. Also, Hayatemaru is not only great at ramen but they have amazing appetizers. We started off with some gyoza and spicy cucumbers. Be careful, those cucumbers definitely had a kick to them! 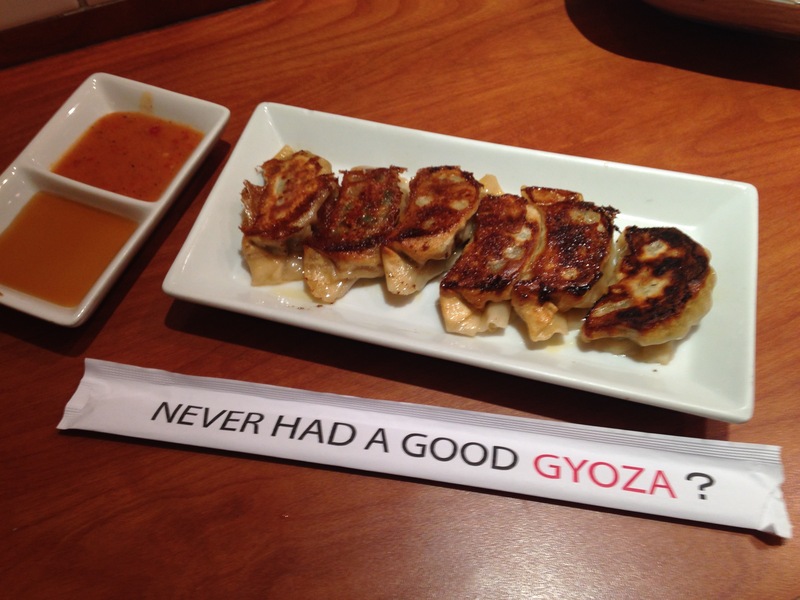 … well you can have good gyoza at Hayatemaru! 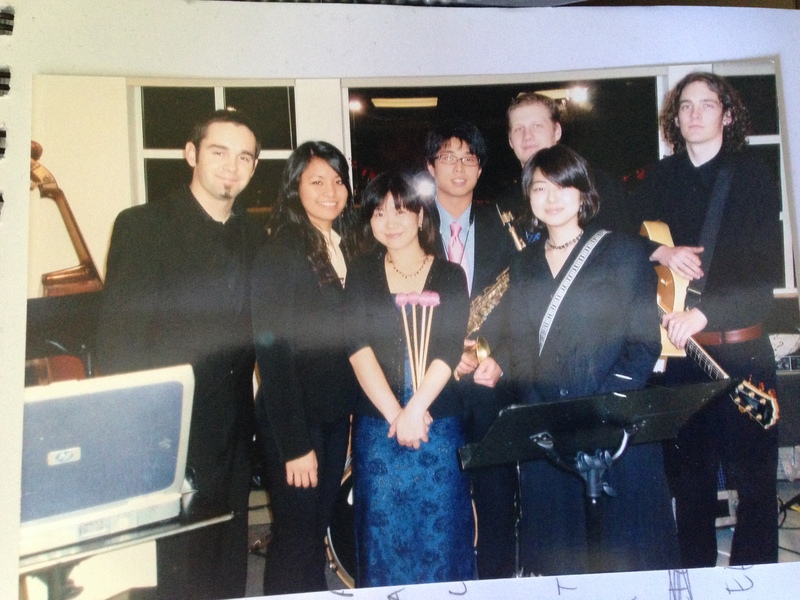 The first time Tanya and I went to Foo Foo Tei in 2011, (see old blog post here) it scared the crap out of us! First of all, it was in the evening and driving into a creepy neighborhood made us really nervous. Second, we were not very pleased with our ramen experience back then so we haven’t gone back since. Now that I’m older, wiser, stronger and can probably kick the crap out of an old creeper, I decided to give Foo Foo Tei another try! 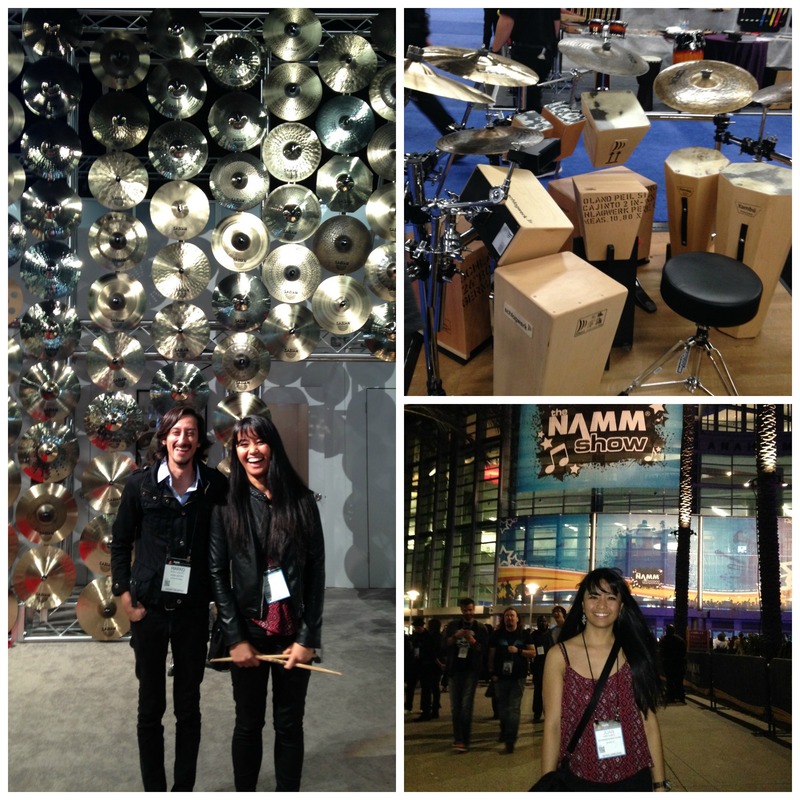 A few months ago, a bunch of friends and I met up at the NAMM show (National Association of Music Merchants for those who don’t know )at the Anaheim Convention Center. Well, I’m not a big gear head that needs to know and try all the new stuff out. But going to NAMM was just an excuse to hang out with your good friends and hit odd things that we most likely would never own. 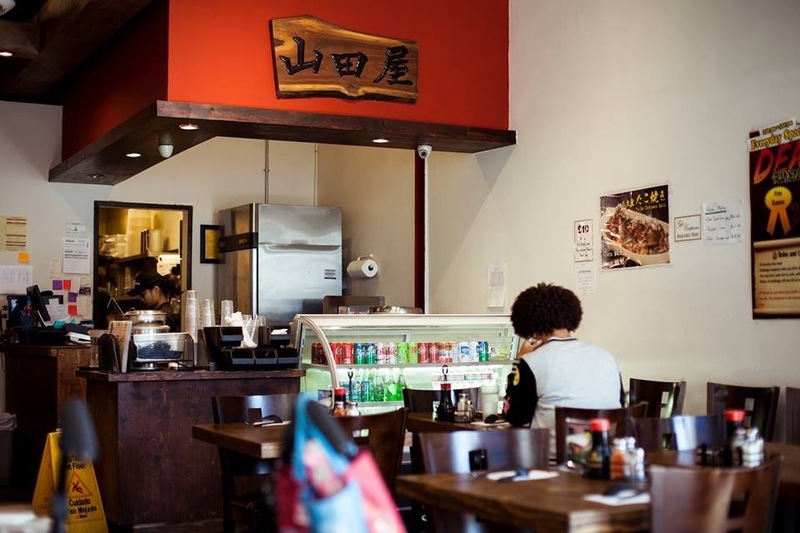 Just a quick post for you about another ramen spot in West LA. Forget Little Tokyo, (even though I love DTLA) the Westside is definitely where all the good ramen is at! All within a 5 mile radius. I finally got around to checking out Ramen Yamadaya in Westwood. I’ve been to the other restaurants of its chain so I had an idea of what to expect there. My friend, Lisha, and her cute son Iari (ya-ree), joined me for an early ramen lunch. I don’t normally eat ramen so early in the day (11 am), but I was starving and had not eaten breakfast. Lisha is a very talented photographer and took some photos for this blog post! 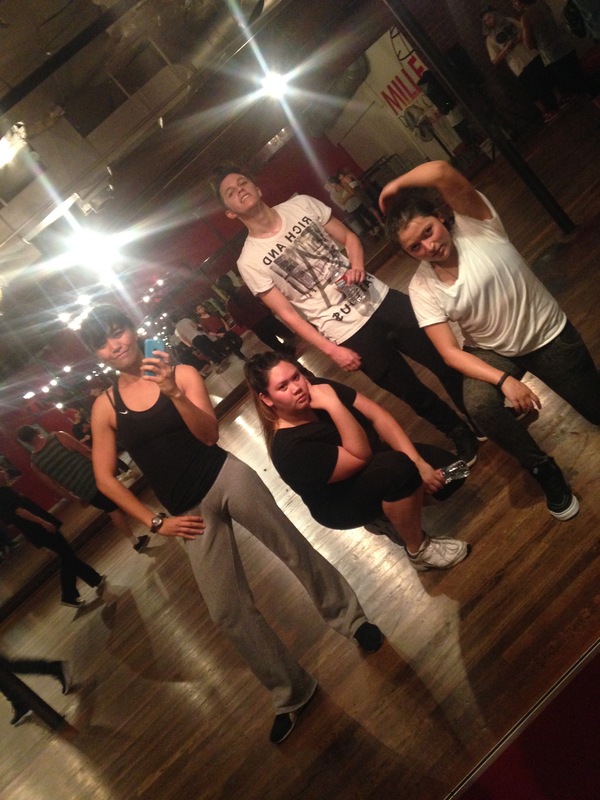 Stepping it up to the streets of NoHo. Wow, that was cheesy. Joan here. A while back, I went on a date with some guy in Downtown Los Angeles. He had never explored DTLA so I showed him all the cool spots: The Last Bookstore, Angel’s Flight, Grand Central Market, Walt Disney Concert Hall, Grand Park, and of course, Little Tokyo. 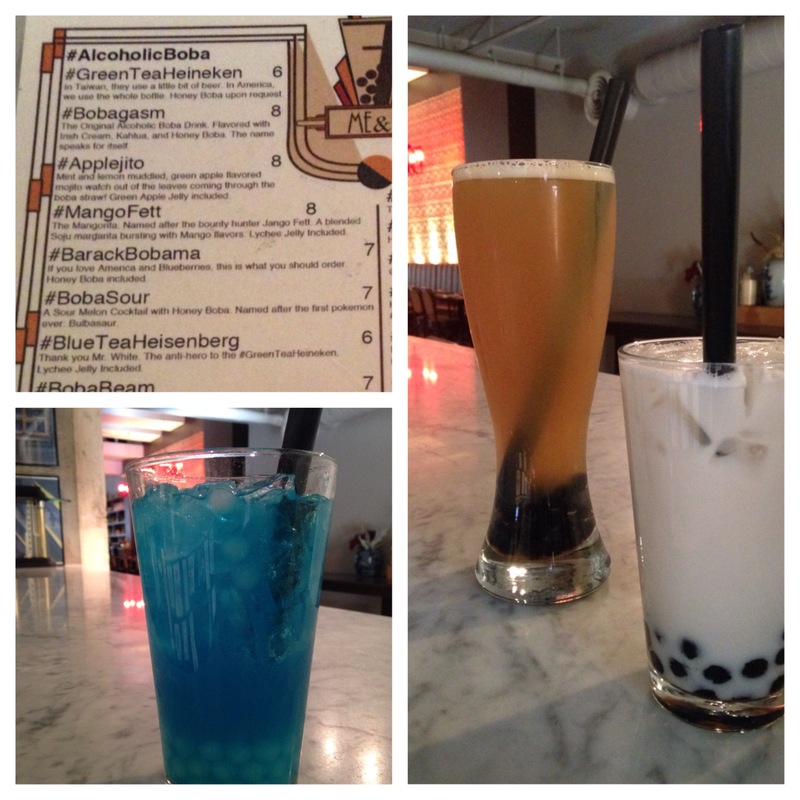 We discovered an amazing place called Boba 7, hidden behind a thai restaurant, where you can get ALCOHOLIC BOBA! This is another late post but I cannot move forward with my blog without introducing you to… my Wang. Jonathan Wang. He’s charming, he’s funny, he falls asleep in the blink of an eye (literally), AND he loves noodles as much as we all do. We all love our Wang! 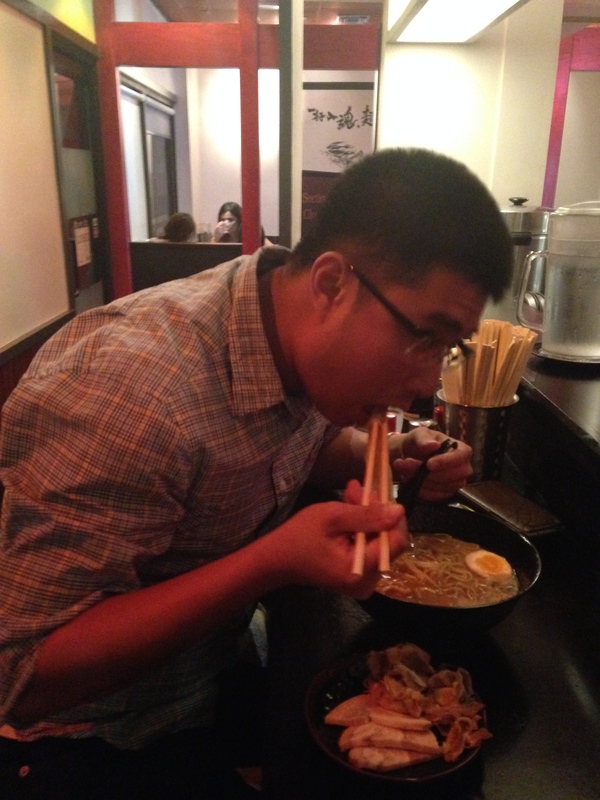 I know we have not written any ramen quarterly reports in 2014 so we will make up for it by writing a 2014 ramen review. Below is a list of our favorite ramen and ramen outings (in no particular order) last year with links to the blog post. There might be a few without links, but those are blog posts coming soon! This was Spicy Ramen from a little shop in Hollywood. The ramen was pretty good and the ramen run was super fun! I know this is a few months late, but I still have to write about it! 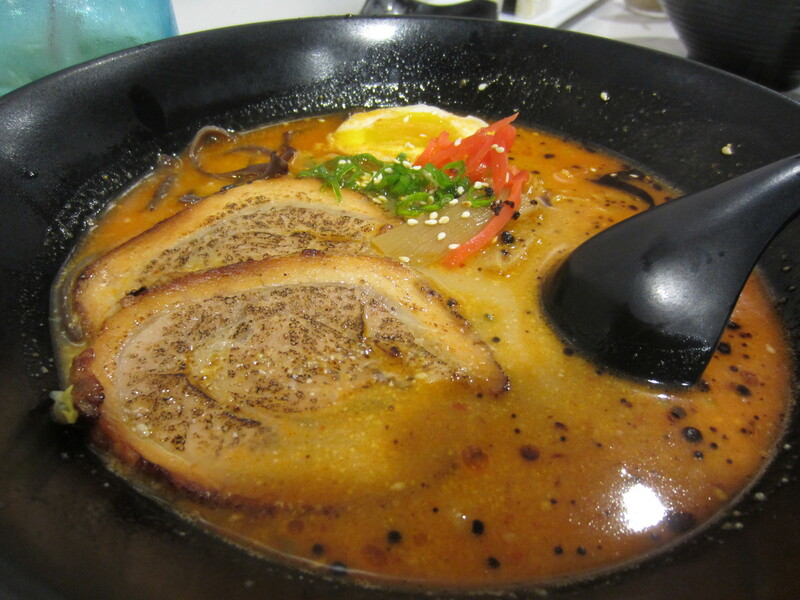 And since Ramen Week (50% off sale on ramen) starts today, this is an opportune time to post this overdue blog post! There was a big ramen sale back in June where participating ramen shops all over LA sold ramen for 50% off! 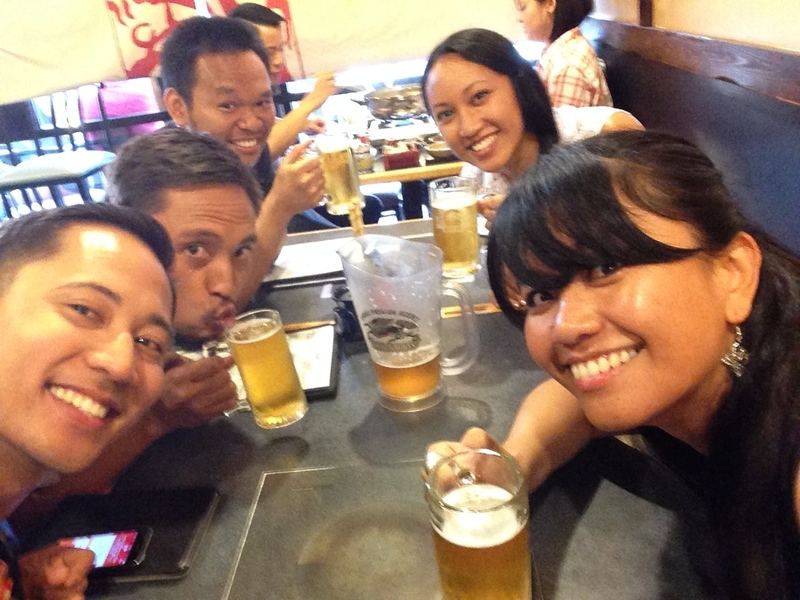 My cousins and I planned a big Pinsan Ramen Run (pinsan is cousin in Tagalog)! There was so much going on that night, and ramen, that it is best to just summarize the evening through photos. But the best part is at the very bottom of this blog post! Our first stop was Hayatemaru in West LA. There was, of course, a very long line and we had to wait for almost an hour! We hung out at the restaurant next door to have some beer and it was quite obvious the server there was annoyed by us.